A rear brake problem cost Andrea Dovizioso his hopes of denying Jorge Lorenzo a fifth victory in 2010 at a sun-drenched Catalunya track in Spain. The former world 125GP champion was mounting a spirited challenge against runaway title leader Lorenzo when he crashed out of second place on lap 15. The Repsol Honda rider briefly led the race on lap four and Lorenzo was unable to shake him off, the Italian never more than a couple of tenths behind. But with a certain second beckoning, disaster struck for Dovizioso on lap 15 at turn nine. 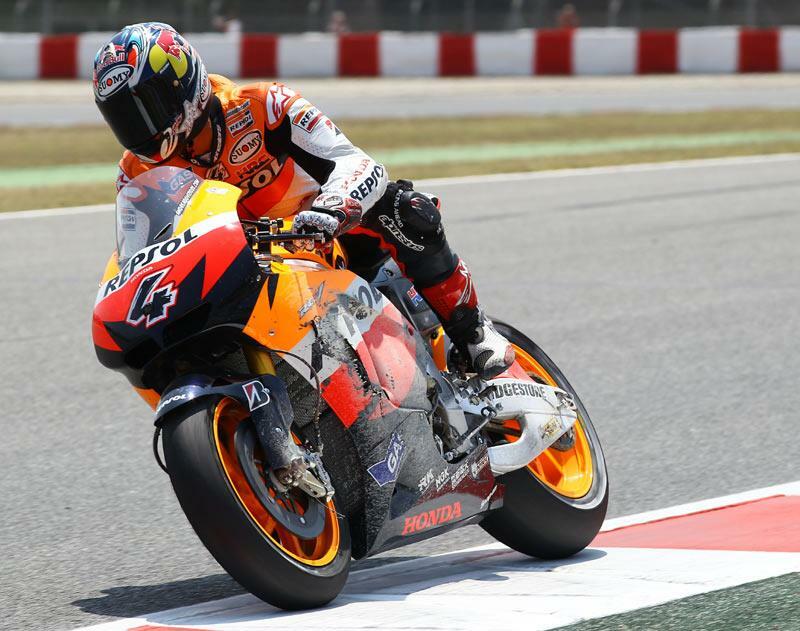 He later revealed a rear brake problem had caused him to lose control of his factory RC212V machine, though he was able to remount and finish 14th. The 2009 British Grand Prix winner said: “We had a really good race pace and we could have fought with Lorenzo for the win at the end of the race. "Unfortunately though, from lap one my rear brake was not really working properly in the last part of the corner entry and this gave me some problems entering corners and mid-corner. I was still able to be fast, but this issue put more weight on the front, it was very difficult to control - I was always at the limit.